On a sunny September morning the Year 10 Geographers headed off for their first GCSE fieldtrip to the beautiful karst scenery of the Yorkshire Dales. 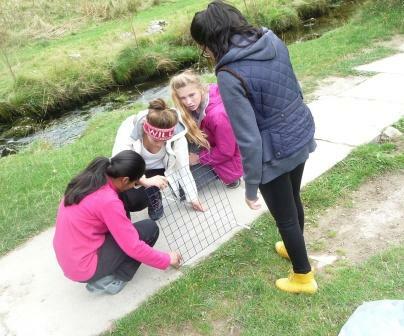 The girls descended upon the village of Malham and coerced the unsuspecting tourists, who were attempting to put on their walking boots in Malham car park, into answering their questionnaires. 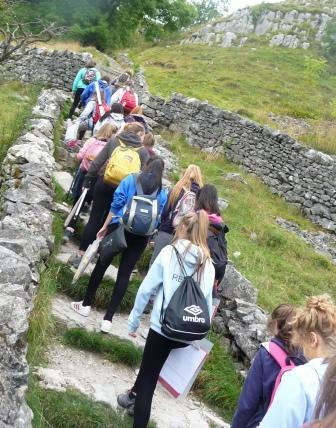 The following day the rather bleary eyed Geographers headed for the limestone quarry at Cracoe village (the inspiration for the Calendar Girls film) and received an extremely informative guided tour which included air raid sirens and blasting! The next stop was Grassington Village to survey the shopkeepers and discuss the impact of the Tour de France on this quaint village. 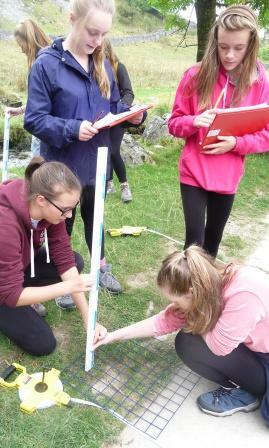 Finally the girls headed underground in Stump Cross caverns to explore the mysterious wolverine cave and gaze at the beautiful stalactites and stalagmites. A superb trip with a delightful set of students who received praise and compliments where ever they went!